6 July 2016, Sweden ~ It was a fitting celebration to mark the end of Ramadan that HE Sultan Rashid Sultan from the UAE Embassy in Sweden and his guests attended the first ever Dubai International Arabian Races event in Sweden on Monday 4 July 2016. Four races for purebred Arabians were run in association with Svensk Gallop and the Swedish Arabian Racing Authority at the newly built Bro Park Racecourse which opened its doors to the public on 19 June 2016. The first Arabian race on the card was the 1200m Shadwell Arabian Stallions Sprint, run on the dirt track. The race was won convincingly by the Camilla Nilsson-owned and trained Winston Rocket (Daffaq), ridden by Alessandro Guerrini. Second went to the Jessica Svenson-owned and trained Zayin Shamern followed by the Charlotte Goss-trained Malak on his second run to date. The UAE Embassy trophy was also a decisively won race with all horses in the first three sired by Shadwell Arabian Stallions. The Henrik Engblom-trained Bisht (Bengali D’albret) came home easily under the hands of Elion Chaves and was the better of both Silaah (Fadjik) and Al Murjaan (Al Jakbar). The final DIAR race of the evening was the DIAR International Fillies & Mares turf, a 1,600m contest worth 150,000kr. This was won by Pamills Lipse (Top Flyte), owned and trained by Maria Hagman-Eriksson. Anna Pilroth took the ride and built on her recent success in the Sheikha Fatima Ladies Race held on Swedish National Day in early June. 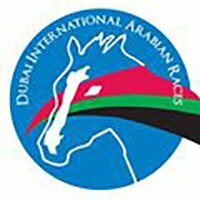 The evening was brought to a close with 65 guests enjoying the hospitality of the Dubai International Arabian Races representatives with a traditional Swedish buffet. The next stop for the DIAR program will be La Teste in South West France on 12 July before the flag-ship day of the series at Newbury Racecourse in the UK on Sunday, 24 July. The July day at Newbury is a full day of Arabian racing featuring 4 Group races and free entry for all race-goers.